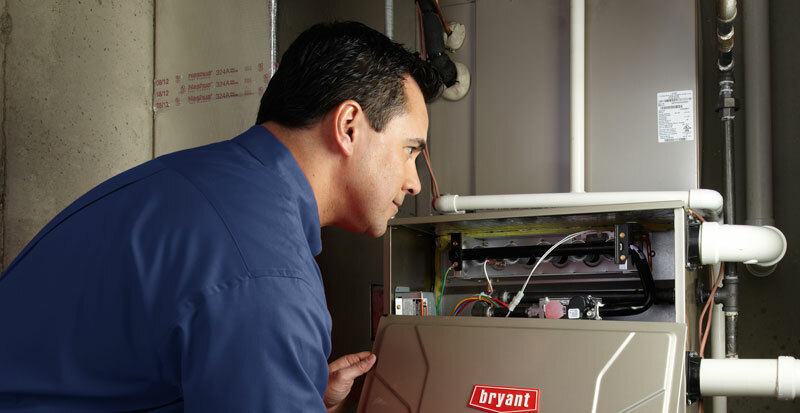 Even the best, most expertly installed electric furnaces will need servicing once in a while. 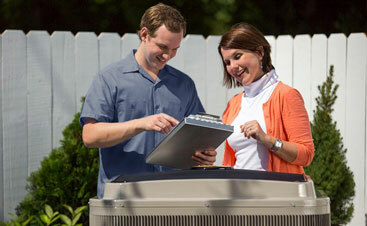 When yours needs a tune-up, you can trust the HVAC experts at Comfort Solutions Heating and Air to get it running again. Helping homeowners protect their heating and cooling investment, Comfort Solutions Heating and Air provides electric heater repair, installation, maintenance, and emergency services for Comanche County, and the surrounding region. Trained to comply with manufacturer-approved warranty guidelines, our team services all electric furnace brands and models. 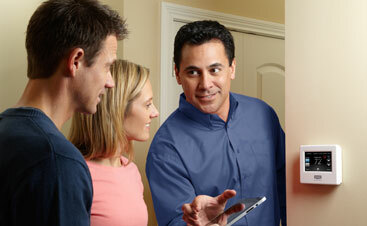 Electric heaters will heat your home properly without sacrificing efficiency. An electric furnace uses heating elements that are powered by electricity to deliver warm air to your home. An air handler blows air over those heating elements, and the heated air is delivered to your rooms through your ductwork. Pros of having an electric furnace: Because an electric furnace does not need to be connected to a gas supply and does not need a venting system for fuel-burning byproducts, it is generally less complicated and a bit less expensive to install. In addition, because an electric furnace does not burn fuel, it does not run the risk of any carbon monoxide leaks. Cons of having an electric furnace: The biggest con of an electric furnace is that electricity is much more expensive than natural gas. Even though electric furnaces can have higher AFUE ratings than gas furnaces, they can be more expensive to operate. In addition, electric furnaces can struggle to keep your home comfortable in extremely cold temperatures. Should I Get an Electric Heater? This depends a lot on the size of your home, your carbon footprint preferences, and your budget. While electric furnaces are more energy-efficient, they rely on electricity, which means you should probably install a generator if you want to keep it running through power outages. Overall, we think electric furnaces are great for most homes in Lawton, so schedule your appointment to discuss whether or not your home would benefit from one! A neglected HVAC system is a problem waiting to happen—and it may happen on a cold winter night. Furnace maintenance is an important part of keeping your home safe and comfortable during winter months. A properly maintained electric furnace also lowers utility bills, improves comfort and indoor air quality, reduces safety risk, and limits unexpected breakdowns. Comfort Solutions Heating and Air’s HVAC technicians are certified by the North American Technician Excellence (NATE), and they are thoroughly trained in preventing safety risks caused by electric furnaces. We arrive promptly, diagnose your electric furnace problem in a courteous, professional manner, and offer affordable solutions that meet your indoor climate objectives. When you call Comfort Solutions Heating and Air to schedule annual electric heater maintenance, you’ll receive a thorough cleaning & quality tune-up, as well as an expert inspection of your furnace & ductwork. In addition, NATE-certified technicians will report potential concerns, helping to reduce the risk of costly repairs later. To request furnace service, schedule a free equipment estimate, or inquire about pricing, call 580-609-4165 today, or click here to print coupons for furnace service discounts. We look forward to serving you and providing you with the ideal indoor climate!